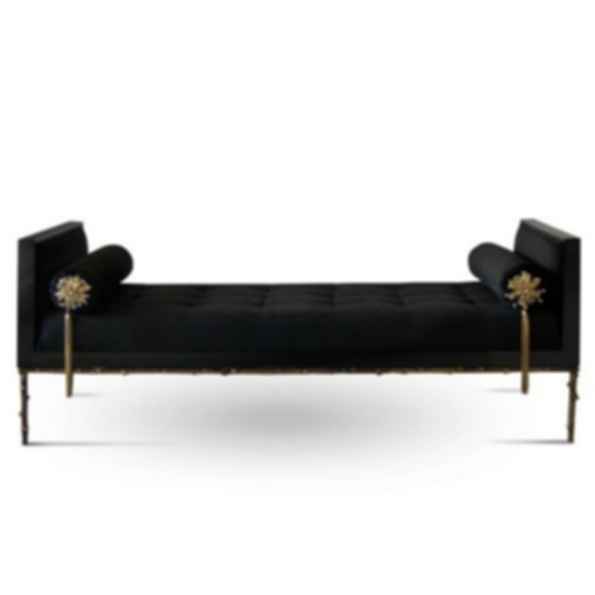 66.93w x 28.35d x 26.67h "
Not exactly flirtatious, certainly not sweet the Prive Day Bed guarantees sensuous drama. 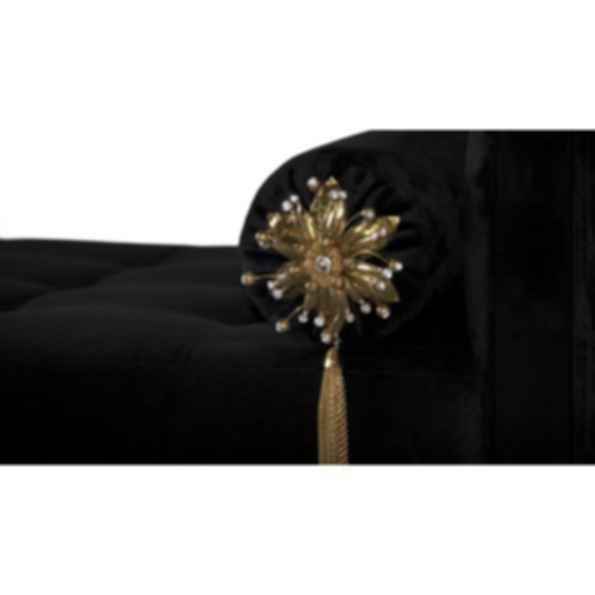 Exquisite flora inspired details adorn this seductive piece. 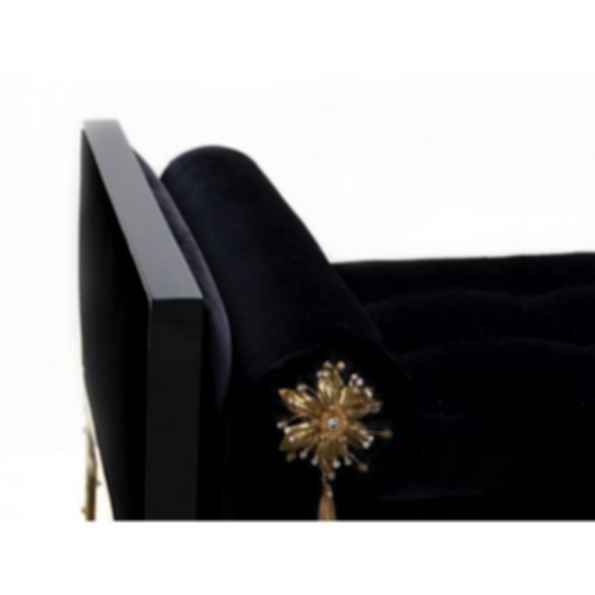 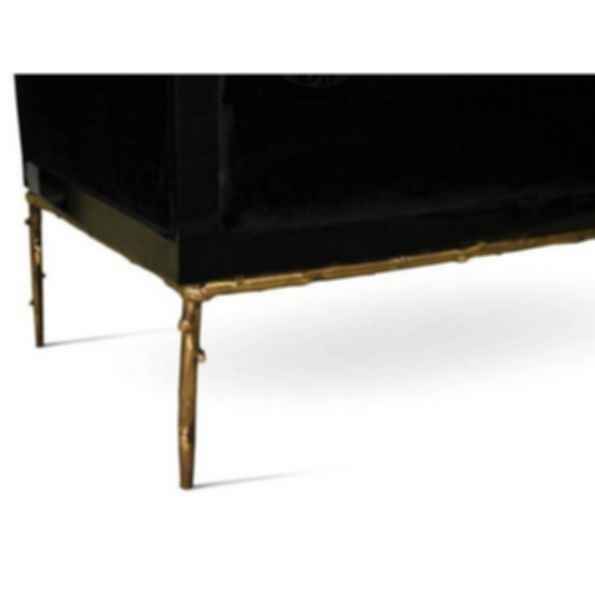 A delicate branch-like base, stunning bronze & crystal jeweled bolsters, and sumptuous soft tufting make this an utterly desirable piece.